The riders of the Tour de France are making their way to Düsseldorf, Germany, waiting for their time trials to start in two weeks. Preparing for the start of the Tour de Fleece, I’ve been standing at my bobbin winder, turning the crank as I empty spinning bobbins until my arm feels ready to give out. It’s almost go time. If you plan to go for the yellow jersey by spinning every day the Tour rides, don’t give yourself carpal tunnel syndrome the first weekend. In Spin Off Summer 2017, spinner and physical therapist Mary Egbert offers 10 exercises to strengthen your hands, arms, and shoulders. Start slow, don’t overdo it, and pay attention to your body (your most important spinning equipment). Pinching the Putty: Roll the putty in a snakelike shape 1 to 2 inches thick. Pinch the putty between the tip of your thumb and the tip of your index finger. Work along the length of the putty. I love watching the Tour de France; the French countryside, entertaining commentators, and competitive spirit (not to mention the outrageous French accents!) draw me back to the wheel every day. But you might find guys in spandex riding up hills duller than dishwater. Queue up your favorite spinning video—I always recommend Judith or Norman for sheer entertainment, and the Tour de Fleece digital bundle lets you hang out with Beth Smith and Jillian Moreno. Or find a good long audiobook. When one of the riders on the Tour gets a flat tire, a special vehicle drives up and whips a spare bike off the roof, letting the rider sprint off down the road to catch up. I don’t have more than one wheel (or bike! ), so I’m cleaning the wheel, checking the drive band, stocking up on empty bobbins, and laying out some spindles for portability. 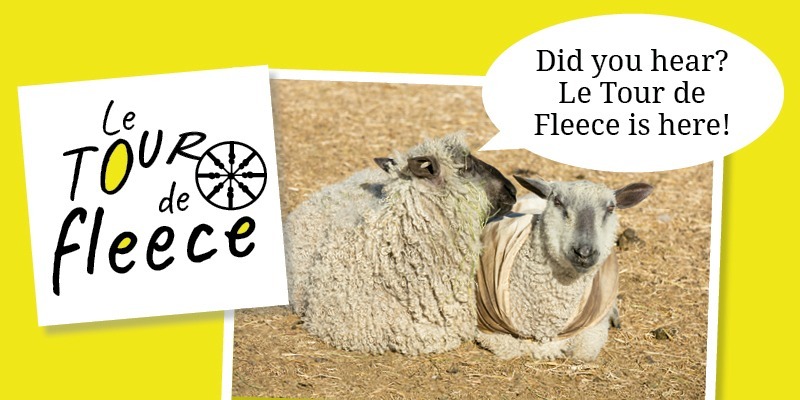 Come join me and other members of the Spin Off Tour de Fleece Team—and no matter what you do, have fun. Take These Resources for a Spin!